For many, the Daydream View will be the first VR headset they own, meaning lots of new territories to have fun with and explore. 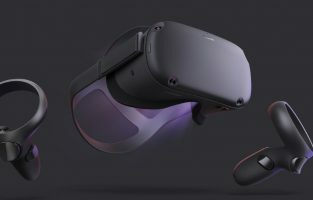 Google’s VR device has spawned a plethora of apps in the Play Store, many of which are charging money with little assurance that the game will justify the price you pay to buy it. Without a guide like this one, you’ll be picking out games blindly. There are a number of outstanding free apps for the Daydream in the Play Store, but some of the for-pay options are on another level as far as immersion and overall quality. If you’ve ever wanted to be a pilot, Ultrawings is the game for you. In Ultrawings, you use your Daydream Controller to navigate an aircraft by the joystick to fulfill a variety of missions and objectives. Starting off from an island airport, Ultrawings gives you a lovely view of a virtual reality ocean as you pilot the aircraft. Ultrawings doesn’t currently offer a multiplayer mode, but playing in solo mode offers hours of entertainment flying the friendly skies virtual reality style. One genre not covered in the games on this list so far is competitive multiplayer. If that’s your preferred type of game, Wands may be just the game for you. In Wands, you control a sorcerer venturing into catacombs to engage in a one vs. one duel against another player-controlled sorcerer. Using a variety of spells which you’ve selected, you and your opponent will sling magic at one another until someone comes out ahead. Wands gives you a range of spells which allows you to delve into the strategy of outsmarting and outcasting your opponent. From a visual standpoint, Wands is an immersive experience, and for the competitive out there, it offers an equally immersive VR gaming battle. These days, who doesn’t want to be a superhero, as bigger and better superhero movies testify to our love for the genre? Justice League VR gives you the next best thing to actual superpowers, bringing the experience of controlling a superhero to virtual reality. In Justice League VR, you have the option of playing as one of five superheroes, each of whom has different objectives and missions with which to test yourself. As Wonder Woman, you battle with a sword, while as Batman you zoom around in the Batmobile. As The Flash, you prevent a bomb from going off, battle enemy drones as Cyborg, and engage in combat hand-to-fin with a sea monster as Aquaman. What’s neat about Justice League VR is that it incorporates elements from all different aspects of its featured superheroes, giving you a varied challenge and a thrilling VR experience. Keep Talking and Nobody Explodes is a co-op game, in which you and your partner try to defuse a bomb. One of you is doing the defusing, with one problem – that player has no idea how to defuse a bomb, and any mistake results in the bomb exploding. Fortunately, the other player has the bomb manual, and the two players need to cooperate to disarm the bomb before time runs out. Keep Talking and Nobody Explodes is great for parties and social situations, as a fast-paced and tense gaming experience. For those who have long been fans of dungeon crawlers, Hunter’s Gate is a worthy VR take on the genre. You control either a sorcerer or a hunter, venturing deep into a labyrinthine series of levels to slay legions of evil beasts and creatures using either might or magic. As you conquer levels, Hunter’s Gate allows you to level up your character’s powers, customizing him or her to best handle the next onrushing horde of enemies. The game features a perspective that can be described as nearly 2.5D, for a unique visual experience as you play. The Daydream Controller lets you control a crosshair which you’ll use to aim your character’s attacks. One of the coolest features of Hunter’s Gate is its multiplayer mode. In it, you and your friends can participate in raids cooperatively. The game is receiving frequent updates with brand new content, with much of the focus with the new content geared toward giving you and your companions unique and interesting challenges as you grow more powerful and experienced. If you’ve ever wanted to do battle in a war zone in space, VR Space Stalker has you covered. In it, you’re treated to a wonderful graphical rendition of an interstellar environment, along with intense life-or-death combat. You’ll need to dodge meteors while blasting enemy spacecrafts, all while trying not to be blown to smithereens yourself. In the Arcslinger, you begin the game as the squire to a mighty and revered hero. Sadly, the hero is killed almost immediately, and you now have to pick up his standard and defend your town from a variety of monsters and bandits. The Daydream Controller allows you to control your pistol, as well the Arc magic system, as you do battle with your adversaries. The Arcslinger has a slightly off-kilter environment of fun characters to interact with as well as a host of bad guys to vanquish. Evil Robot Traffic Jam is a VR entrant into the genre known as Tower Defense, so fans of that type of game will want to take extra note. The game tasks you with trying to prevent vehicles from passing through your territory, and arms you with a full arsenal of various robotic tools to make life tough on the trespassers. You’ll drop a variety of turrets and towers, gain power-up bonuses, and unleash robotic fury on the vehicles trying to blaze past your defenses. Evil Robot Traffic Jam is a challenging game and will probably take you some time to master unless you’re a pro at the genre. And it’s a great game for children of all ages as well as adults. Thrill seekers and adrenaline junkies will probably appreciate VR Haunted House, though the faint of heart should stay away. In the game, you explore a haunted mansion populated by zombies. That’s right, haunted house AND zombies. If your idea of fun is blasting zombies while venturing into a creepy haunted house in VR, VR Haunted House 3D is game for you. If you want a game that turns convention on its head, Virtual Virtual Reality is a good option. The game takes place far in the future when artificial intelligence combined with robotics means robots rule the world. One of the few things humans are good for in this robotic dystopia is working as Artisinal Human companions, assisting robots with various tasks. You play as one of these human companions, fulfilling various tasks for your robot employers, and maybe rebelling against them if you get sick of doing their dirty work. If you’re a fan of games with a strong comedic element, Virtual Virtual Reality fits the bill, as you constantly deal with absurd and hilarious levels that will keep you equally off-balance and on your toes. It’s possible that you’re not all that familiar with the Google Daydream, in which case this section is for you. Google Daydream is a virtual reality platform created by Google that lets you experience a variety of virtual reality applications and games. The Daydream consists of two parts. First of all, there’s the headset. The headset lets you insert a Daydream-compatible mobile phone into the front of the headset. The phone then sits at eye-level acts as the screen when you put the headset on. The Daydream controller allows the user to influence their virtual world, either by pressing buttons or moving the controller around. Sensors track the position of the controller and the user’s hand. The controller is wireless and lightweight and is rechargeable with a USB-C port. It stores away in the headset when not in use, and the headset is less than a foot by a foot in the area. 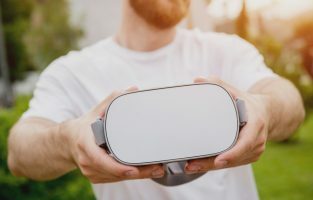 The first generation of the Daydream was released in November of 2016, while the second generation – called the Daydream View – came out in May of 2017. The second generation Daydream is a bit larger and had made some improvements to some of the viewing lenses. The Daydream allows users to use a variety of virtual reality apps, not just games. 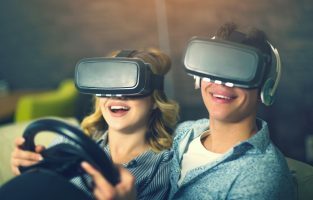 Some apps available through the Daydream include Google Maps Street View and YouTube VR, and you’re able to watch Google Play movies and TV and look at Google Photos with an immersive view. 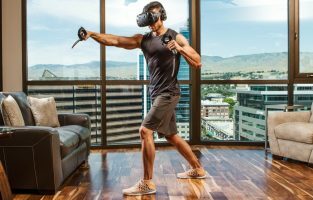 Companies like Ubisoft and Netflix have created apps for the Daydream, as well as Google itself. In addition, in January of 2017 Google opened up development for the Daydream to third-party developers, leading to a wide range of applications. In order to use the Daydream, you have to have a mobile phone compatible with the system and its requirements. It’s also necessary in some cases to get an OS update in order to run the Daydream platform. 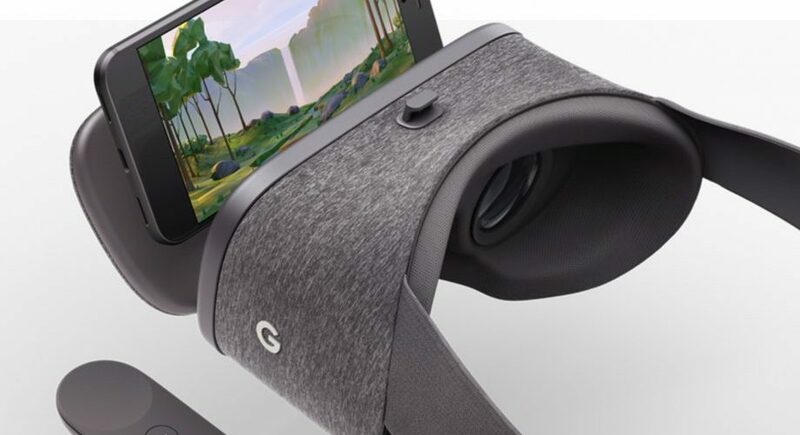 Currently, the following phones are able to use Daydream: Pixel, Pixel XL, Pixel 2 and Pixel 2 XL by Google, Moto Z by Motorola, ZenFone by Asus, Mate 9 Pro by Huawei, Axon 7 by ZTE, Galaxy S8 and S8+ by Samsung, and V30 by LG Electronics. If you own one of those phones and have updated to the proper software, you’d be able to use the Daydream.